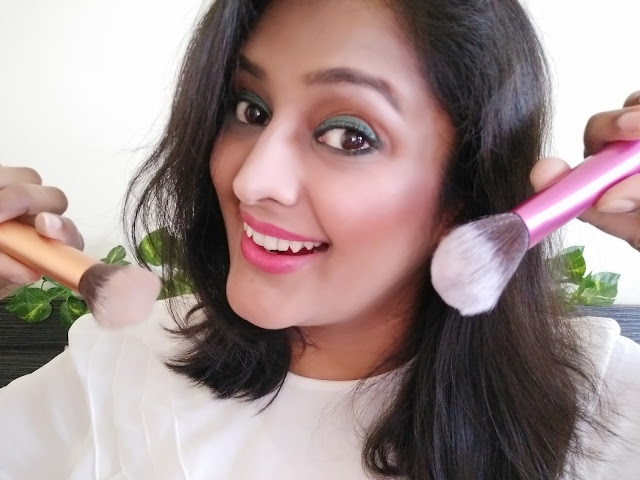 I am a beauty writer and often as part of the deal, I have to try multiple products on self before going ahead with my review. In spite of limited experiment that I do with my hair and, what I perceive to be a regular care, I still find my hair story not going the way it should be. Sometimes, a bad product just worsen the situation for me and what was the "Hair Today" for me, often leads to "Gone Tomorrow". Hair Type: Wavy, Mid length, Black-brown, tendency to get rough. I was blessed with good, silky and problem free hair that I often wonder as to why all my friends are having issue with their manes when am not getting any. Alas! what a mistake. Besides, I always liked trying different products to gain back my hair to original state but however only few suits me. Sometimes, the product that once was a "lifesaver" for me, starts acting nasty and call for change. And then comes the perils associated with beauty reviewers. 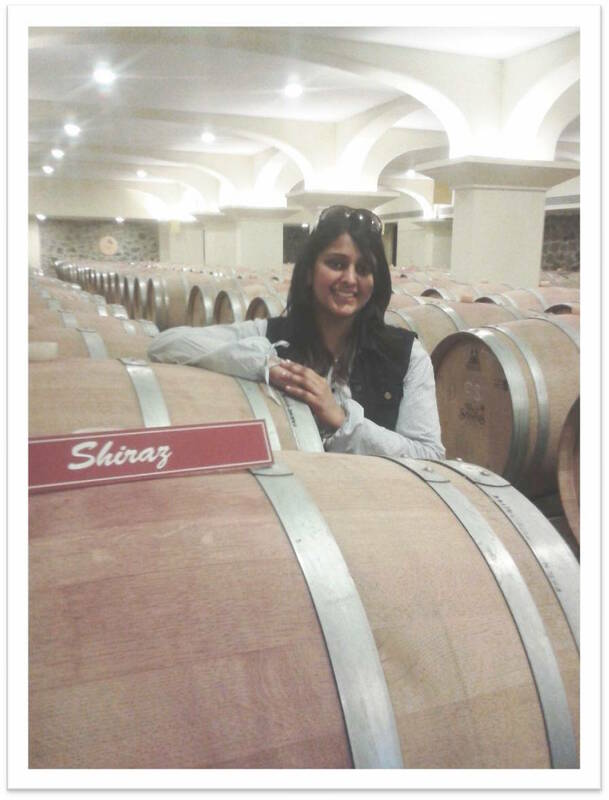 It is not just about the different hair products that we review for www.hautekutir.com but hair care in general. I am telecom professional and I have traveled and stayed at the length and breadth of the country. This has lead to acclimatizing myself to different weather and water conditions, hence bringing my hair to multiple risk. How can I forget mentioning lifestyle habits and stress! Result- My hair has become thinner than ever. Hair fall has become a regular tenant with a great company from white flakes, AKA Dandruffs who things my hair is their primary property. Men, I hate using Anti Dandruff Shampoos. The other major issue that my hair suffers from is- Lifelessness. Often a lot of prestigious products leaves my hair dull, unruly and weak. Needless to say, the hair lose the form and rather look like a mess on head than crowning glory. You call it- Bad Hair day. I say Bad hair Daysss. Contained within the bright orange plastic flip cap bottles, the Shampoo smells just nice without being either too strong or too weak. It is fluid but not too runny. I in particular, liked the conditioner for its creamy properties. The ingredients [Coconut, Olive and Almonds] sounds promising. And guess what, it is quite economically priced. The product claims to come with deep action to nourish my hair from scalp till length. That Look enticing. 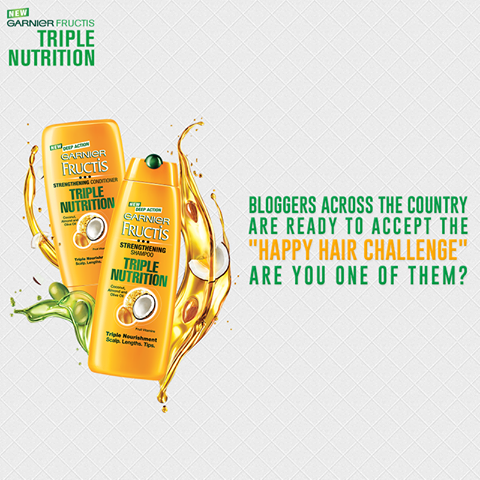 In an endless pursuit to find a suitable hair care products especially Shampoo and conditioner, I am now taking a Happy Hair Challenge with Garnier Fructis. Lets see if Garnier Fructis Triple Nutrition can take care of my hair without leading to severe hair fall and dandruff, while maintaining the cut and layers that I styled them in to. Woo hoo! I will come back after the scheduled closure and share with you my feedback on the same.